Through soul art, you can receive a visual overview of your life's path, your soul purpose, as your inner spiritual being is brought to the fore. Displaying a soul painting in your home can be both empowering and healing. strengthen connections and bring healing to ancestral lineage. Previous clients have spoke of a comforting sense of ‘coming home’, a greater understanding of their life purpose along with a sense of inner peace and clarity. Many have reported a greater flow of abundance, as they align to their inner strengths and true path in life. “Breda is a hugely gifted painter who expresses the energy of the soul in a clear and vibrant fashion. Her paintings are individual and multi-layered – at first glance you think you have understood it and then you look again….. and again…. And every time you find another detail which adds to the full picture and sets you thinking again! Her painting has explained aspects of me and my behaviour that I have never really understood before and has shown me future possibilities that I can now work on manifesting. 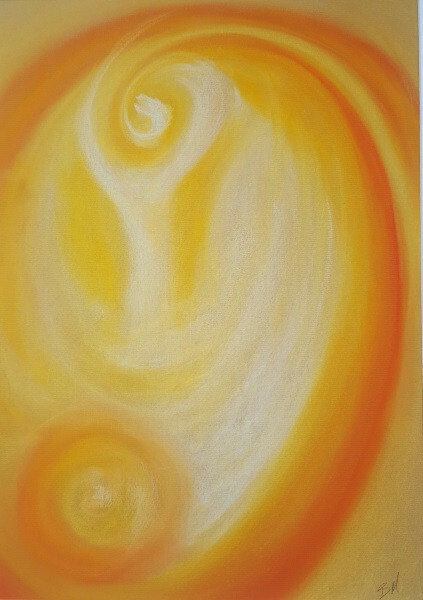 Soul paintings can offer confirmation of those dreams and abilities that the world around us doesn’t always appreciate. 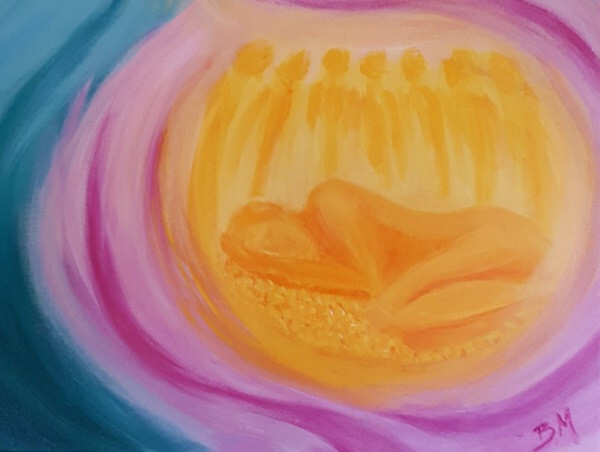 In this way, a soul painting acts as a companion on your life’s journey and a positive visual affirmation specific to you and your soul purpose in life.